Can anyone copyright or trademark Lebron James’ nickname, “Lebronto”? For the third straight year LeBron James (a very good basketball player) and the Cleveland Cavaliers defeated the Toronto Raptors in the NBA Playoffs. LeBron James’ three-year dominance compelled one sports announcer to begin using the term “Lebronto”—a jest that LeBron James played so well the city of Toronto now belongs to him (at least for basketball purposes). Since its initial use, others have used the term as either a positive new nickname for LeBron James or to mock Toronto. Even though I did not create the term, can I copyright or trademark it, then license or sell the term for monetary gain? Maybe! Copyright law does not generally allow the registration of a name (and I am not the creator of Lebronto), so trademark law applies in this situation. Trademark law allows someone to trademark a name or nickname even when it does not identify the applicant. To trademark Lebronto, I have to overcome two immediate problems. First, federal trademark law does not allow someone to trademark another person’s name without permission (if at all). Second, trademark law does not generally allow someone to trademark a geographical location, such as a city name (Toronto). The Lebronto trademark application can likely overcome the first problem as it is a nickname instead of a legal name. In fact, there are several examples of registered marks approved for sports nicknames, including: “RGIII,” “Linsanity,” and “Shaq Attaq.” Given the existence of other trademark sports nicknames, I can expect the United States Patent and Trademark Office (USPTO) will not treat Lebronto as simply a legal name. The next question is whether the USPTO will reject the Lebronto trademark application as a geographical location. Essentially the USPTO will examine whether the term Lebronto constitutes a geographical location and, if so, whether the term has a secondary meaning. By way of illustration, an applicant cannot trademark the city name “Minneapolis,” but it is likely the Minnesota Vikings’ application to trademark the term “Minneapolis Miracle” (a reference to a football play) will be approved. Said another way, I can be reasonably confident the USPTO will agree the term Lebronto is not a geographical location, or if it is a geographical location it has a secondary meaning. In either event the application to trademark Lebronto should not be rejected. Notably, I also have an increased comfort the USPTO will not reject the term as offensive (despite Toronto’s disagreement) given the U.S. Supreme Court’s ruling in Matal v. Tam last year. Click here to read, Offend Away! Offensive, Scandalous, and Immoral Trademarks Now Registrable, by Clark Partington attorney, Kris Anderson. Of course, my ability to show the term Lebronto can be trademarked does not necessarily mean my application will succeed. My application would likely encounter several other fatal obstacles, including (among other things) my lack of intention to use the term for a commercial purpose and the likelihood someone else has already filed an application. 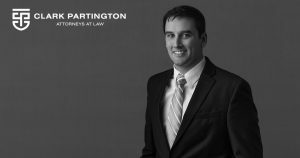 Clark Partington’s Intellectual Property Group is equipped to answer questions related to your specific situation. With offices in Pensacola, Destin, Santa Rosa Beach, Tallahassee, and Orange Beach (Alabama), we are a full-service firm covering this part of the Gulf Coast. To reach one of Clark Partington’s Intellectual Property attorneys, contact Glenn E. Lovett at (850) 432-0759 or GLovett@clarkpartington.com.